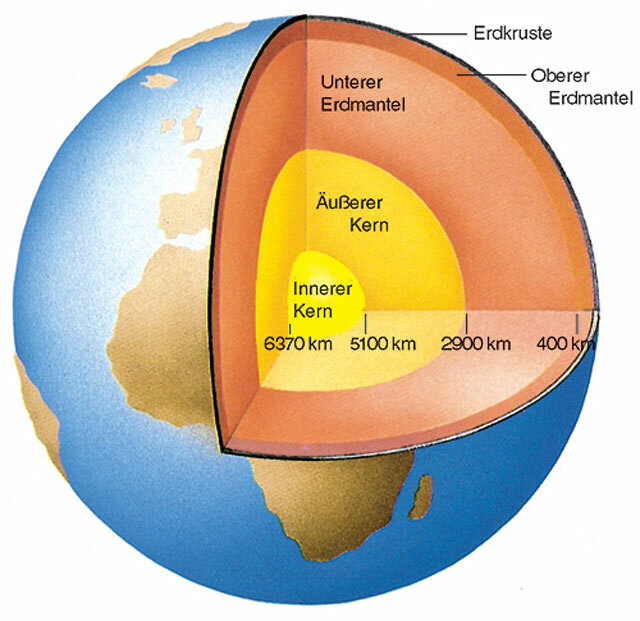 The border between the outer core and the inner core is about 5,100 km below the surface of the Earth. A small, central part of the core, however, below a depth of about 5,100 km (3,200 miles), is solid iron. The core below the mantle begins at a depth of around 5100 kilometers, and comprises an outer core (liquid iron-nickel alloy) and inner core (solid iron-nickel alloy). verse 34:10 And We granted David blessings from Us: "O mountains, glorify with him, as well as the birds." And We softened the iron for him. 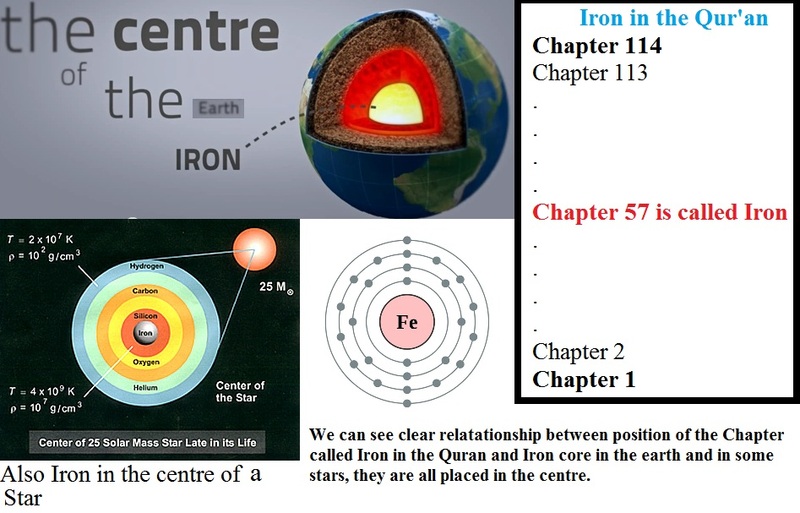 Surah Iron is the 57 surah and has in it 29 Verses. 57-29 = 28 so this number has now two meanings. The Verse of the Iron has in itself 28 Words. Ironically the 13.Isotope is Iron-57 and how the Surah is called?! We sent Our messengers with clear signs, the Scripture and the Balance, so that people could uphold justice: We also sent iron, with its mighty strength and many uses for mankind, so that God could mark out those who would help Him and His messengers though they cannot see Him. Truly God is powerful, almighty. I Think that this nummerical miracle should be shown on you site answering christianity so everybody can witness the miracle with his own Eyes. specific heat capacity of steel is 450 J/kg/°C.